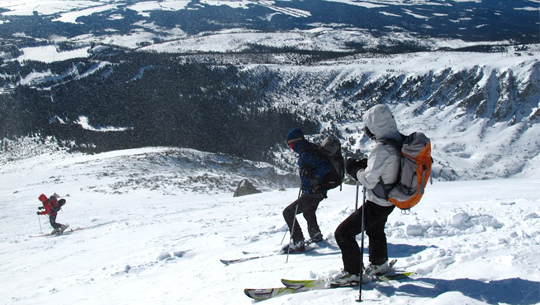 The largest ski area in Slovakia attracts a great number of ski lovers on a regular basis. Whether you are a beginner or a professional skier, we are sure that in Jasná you will find what you are looking for. The Jasná Low Tatras ski resort offers 46 km of groomed tracks of all levels of difficulty, suited for beginners and families with children, but also for experienced skiers. Jasna is home to state-of-the-art artificial snow making systems, which guarantee continuous snow cover for at least 5 months of the year on a 27 km area. A modern cable car will take you to the top of the Chopok hill and from there you can enjoy a stunning view from the new panoramic restaurant Rotunda, or perhaps visit the famous “Kamenna chata” (Stone Chalet) under the Chopok Hill. The The Jasna Low Tatras ski resort is situated 4.5 km from Riverside. Tickets can be bought online on www.gopass.sk. We will gladly provide you with a Liptov Region Card thanks to which you can get cheaper prices. Enjoy a winter fairytale right in the heart of Jasna. For lovers of cross country skiing there are two tracks available. The first one is located in Lúčky and a has more of a recreational character. The second one can be found on “Tri Vody”. 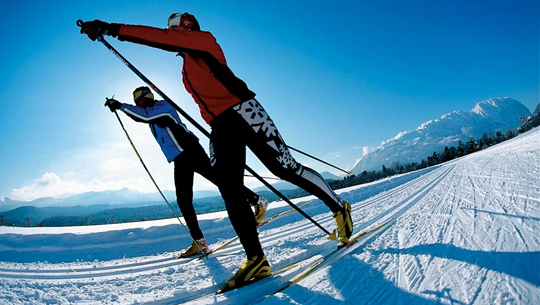 You can rent entire cross country skiing sets from the nearby Tatry Motion Rentals. The ski slope is illuminated during evening skiing sessions. 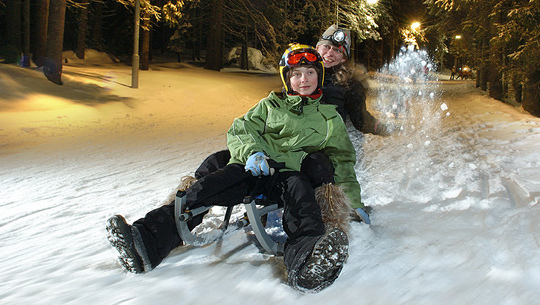 Sledders can also use the services of the chair lift. We invite you try out the Biela púť ice skating rink measuring 25 x 16 m. The ice skating rink is illuminated during the evening hours and there is the option to either rent skates or have them sharpened. The entry to the skating rink is free of charge but its operation is weather dependant. You can find more information in the Infocenter in the Jasná resort or in the Tatry Motion rental places. 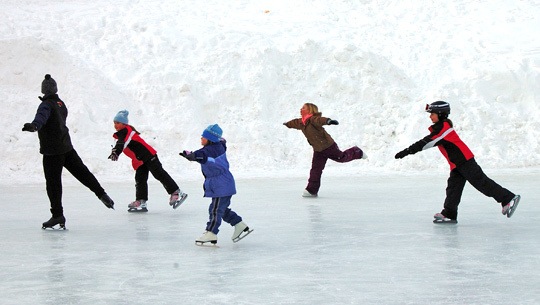 This is a modern and dynamic winter sport that is gaining more fans all the time. Get away from the noise of the chairlifts and trek all the way to the top of forgotten mountains on skis equipped with a special mohair coated strip ( previously made from the skin of seals). Enjoy a truly free ride and leave all your troubles behind. 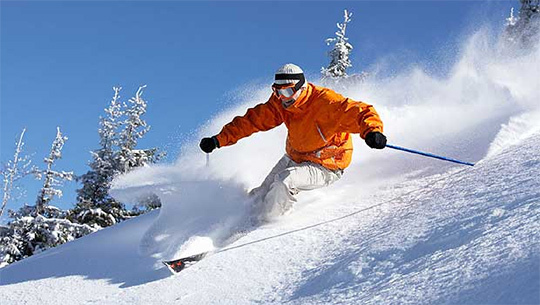 The Jasna area and surroundings offer the largest official alpine skiing and freeride area in Slovakia. Before you head on a trip, find out the current weather conditions and the avalanche risks. Be prepared for rapid weather changes and always take a change of clothing as well as wind protection with you. Before you set on a hike let the reception staff know about your target point. Always have your cell phone fully charged. The Mountain rescue staff will also gladly provide you with detailed weather information on a phone number: (+421(0)527877711) or via an email: hzs@hzs.sk. Save the emergency phone number 18300 to your cell phone just in case. Detailed information about freeriding and alpine skiing in Jasna can be found in the new freeride manual.